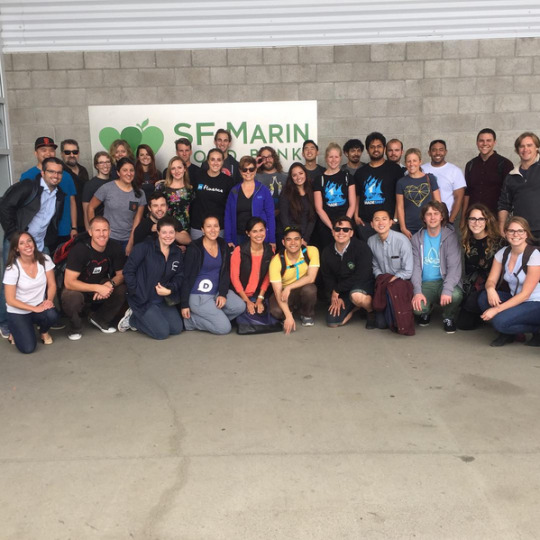 Startups Give Back is a volunteering event where people in the startup community get out of their offices and actively work together to help non-profits, causes, and the community around them. It’s an opportunity for employees to get away from their desk and make a meaningful difference — immediately. It is also a new way to network. Instead of standing around with a beverage in hand, like traditional networking events, you meet people in the startup community while actively making a difference. This was a highlight of the experience for me personally, because it was really inspiring to work on a mission much larger than ourselves with the some other members of the tech community. 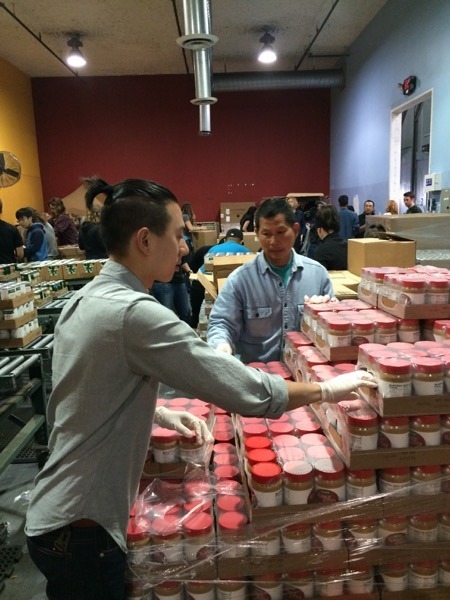 Their mission is to end hunger in San Francisco and Marin. It's a huge job that's only gotten harder as our community struggles with a prolonged period of economic distress and record numbers of people are pushed to the point of hunger. 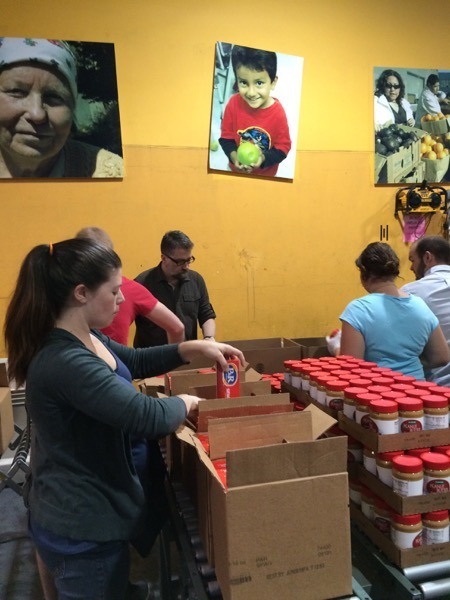 Thankfully, thousands of caring donors and supporters have rallied around the Food Bank and enabled them to scale up their operations to meet the need. 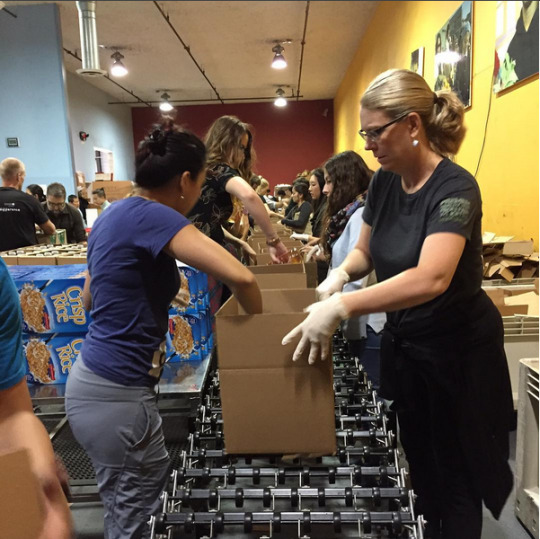 With 130 employees, 25,000 volunteers each year, and 450 partner organizations throughout the community, the Food Bank is vital lifeline for people in need of food assistance. When we arrived at the SF Food Bank I was quite impressed with their facilities. It was a very modern building with a nice design and kept impeccably clean. I can only imagine that this would have to be the case since it is a facility that stores and distributes food. 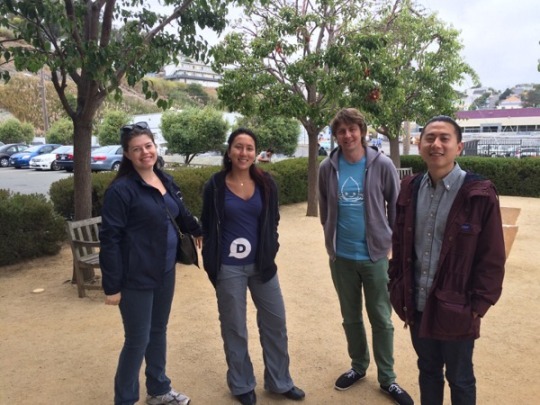 We were one of the first groups to arrive, but soon we were joined by horde of other tech workers. 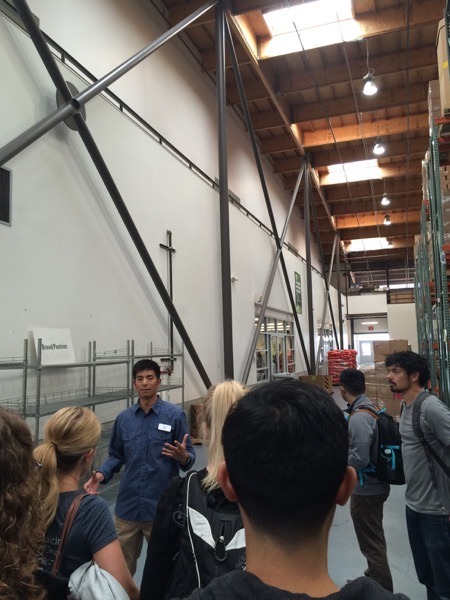 We were then given a quick tour of the facility along with some information about the mission of the SF Food Bank. After this brief tour we were immediately put to work. 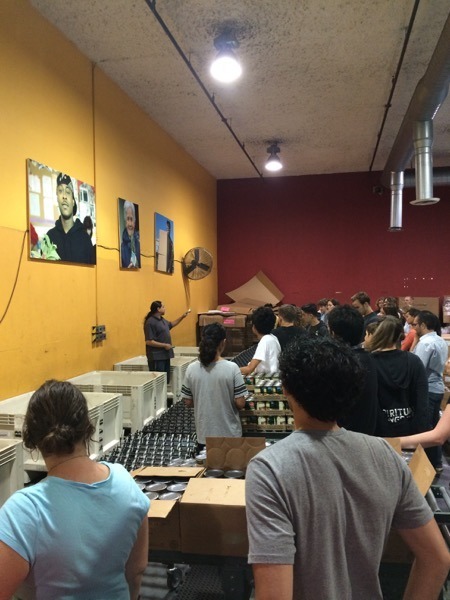 Our entire group was assigned with the task of packing and shipping supplemental food boxes for senior citizens. Each box contained crisp rice cereal, pasta, canned tomatoes, canned apples, peanut butter, apple juice and a can of beef. According to our team leaders, the food in these boxes would supplement a senior citizen’s meals for an entire month. How amazing is that?! We were set up in groups along a conveyor belt and each group was responsible for a different part of the packing process from building the box, to filling the items, to quality control, to taping and to loading it on the shipping pallet. After two and a half hours of work, our entire group managed to pack 1,625 boxes! As you can tell from my colleagues, we had a really great time and it was satisfying on so many levels. It’s really wonderful to see my coworkers to be so inspired by this activity. I can’t wait to partner up with Startups Give Back for our next activity!